Type locality: Kent Islands, Bass Strait, Australia (Coppejans, Leliaert & De Clerck 2000: 67). Accesses: This record has been accessed by users 1256 times since it was created. Coppejans, E., De Clerck, O. & Leliaert, F. (1998). 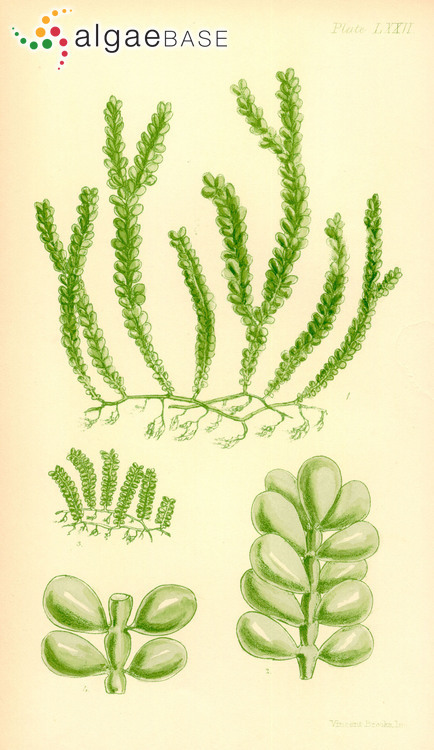 Caulerpa sedoides var. geminata (Chlorophyta) from Papua New Guinea, and a reappraisal of the different forms of C. sedoides. Phycological Research 46: 131-137.